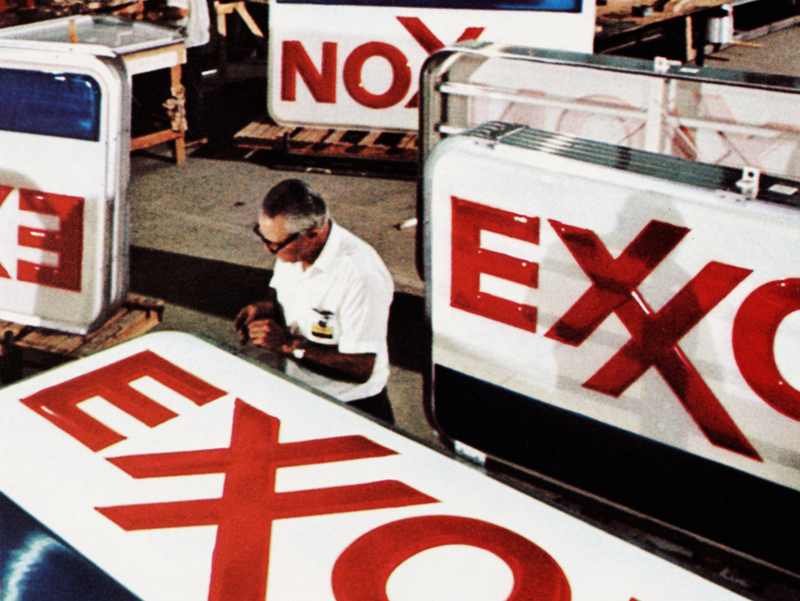 Today we operate in most of the world's countries and are best-known by our familiar brand names: Exxon, Esso and Mobil. 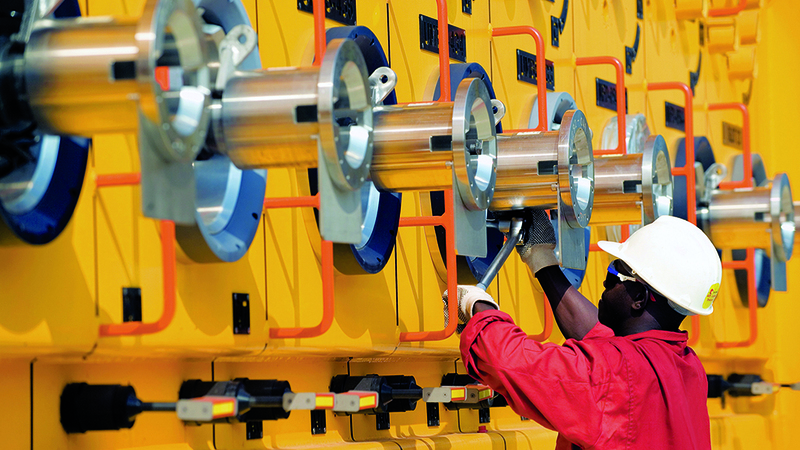 We make the products that drive modern transportation, power cities, lubricate industry and provide petrochemical building blocks that lead to thousands of consumer goods. 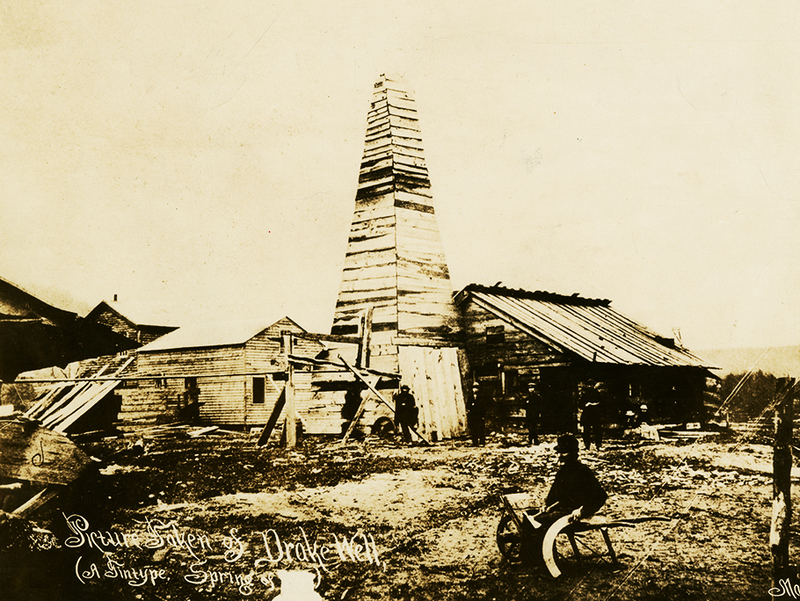 Colonel Edwin Drake and Uncle Billy Smith drill the first successful oil well in Titusville, Pennsylvania. 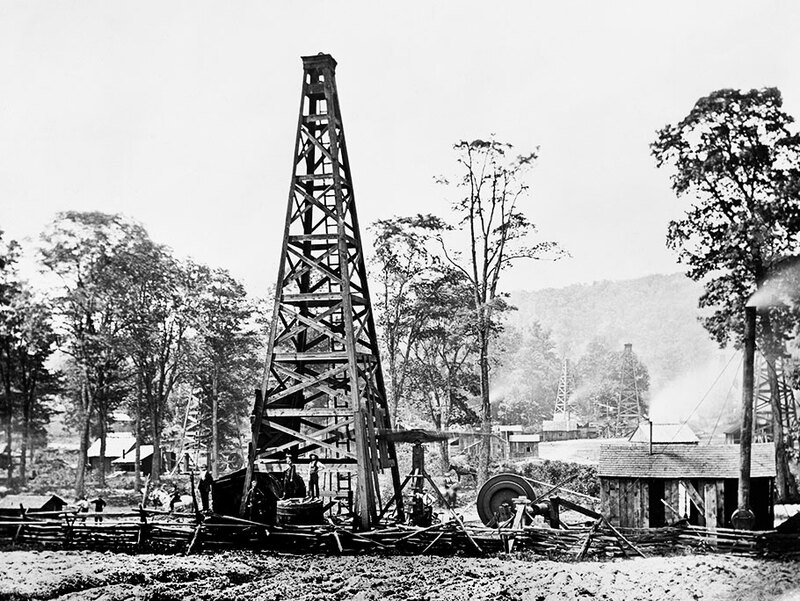 The colonel's discovery triggers an oil boom that parallels the gold rush of a decade earlier. 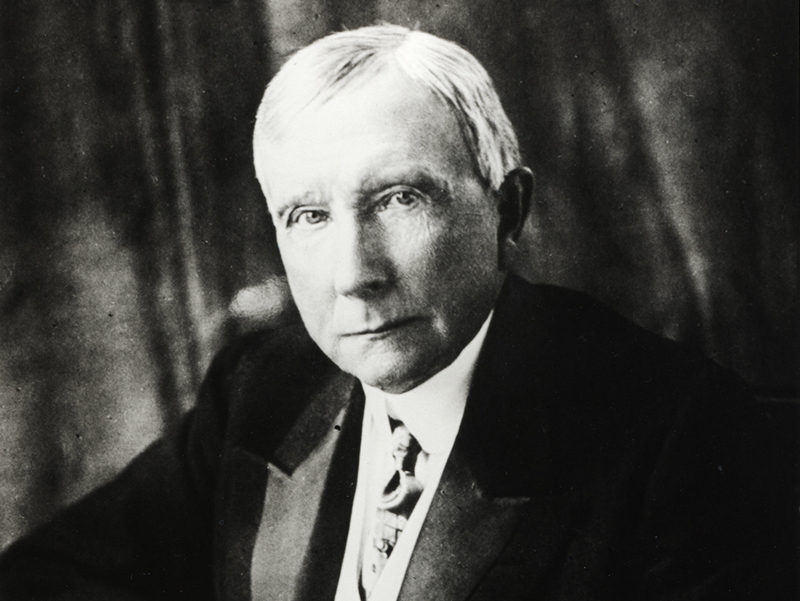 Rockefeller and his associates form the Standard Oil Company (Ohio), with combined facilities constituting the largest refining capacity of any single firm in the world. The name Standard is chosen to signify high, uniform quality. 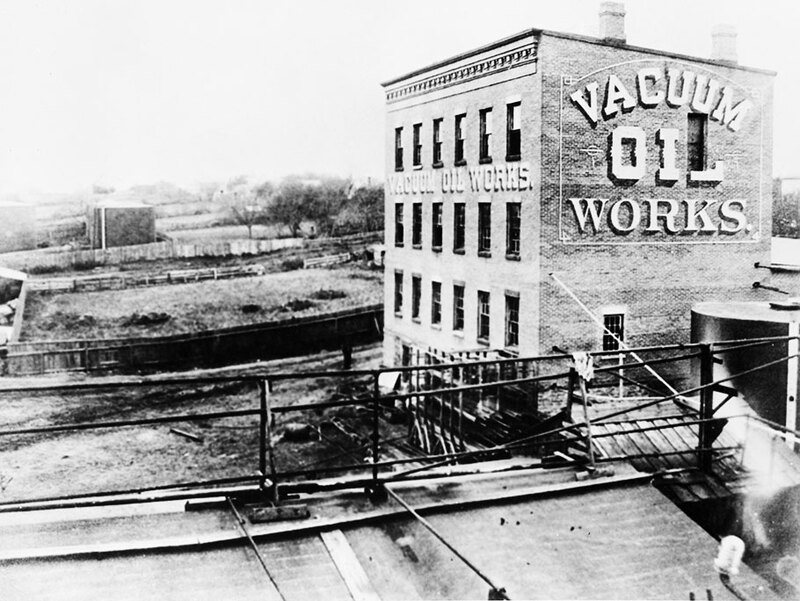 Standard Oil Co. purchases a three-quarters interest in Vacuum Oil Company for $200,000. As a lubricants pioneer, Vacuum Oil introduces a number of popular products, including the revolutionary Gargoyle 600-W Steam Cylinder Oil. 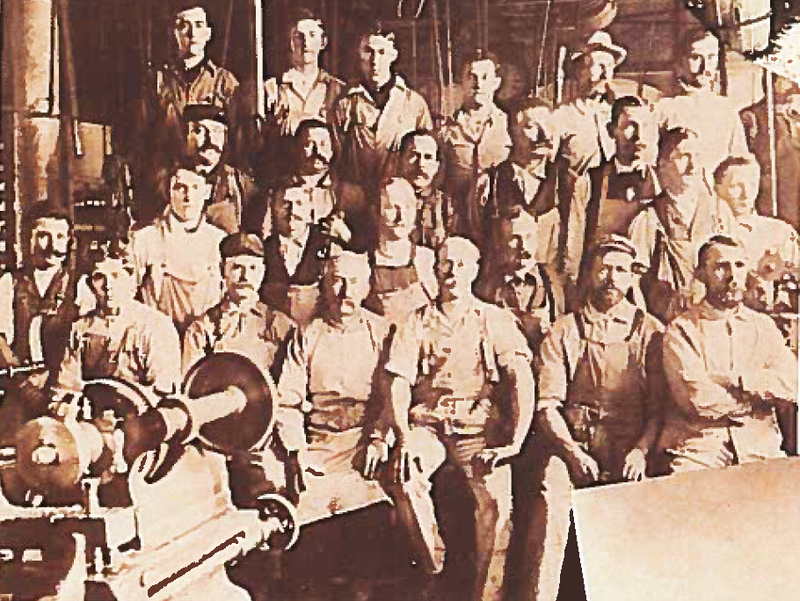 Standard Oil lubricates Thomas Edison's first central generating system. Also in this year, Standard Oil Trust forms to include the Standard Oil Company of New Jersey (Jersey Standard) and the Standard Oil Company of New York (Socony). 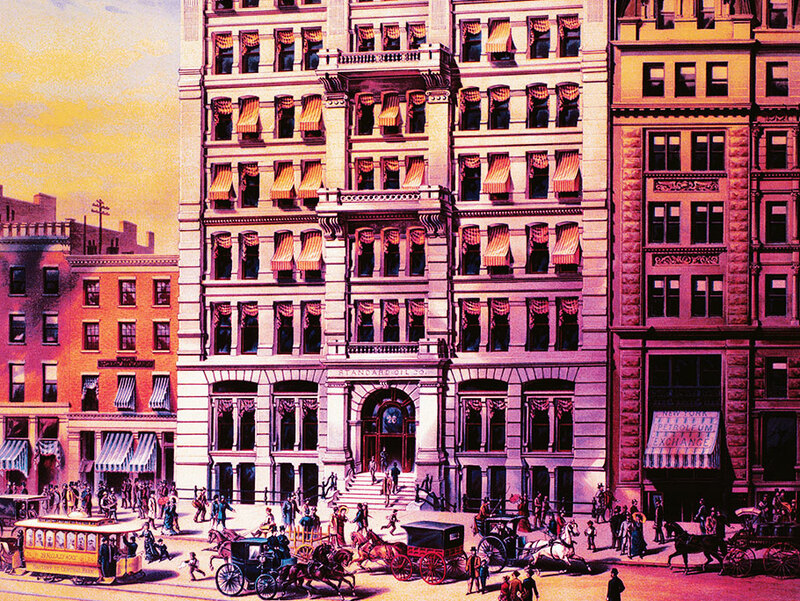 The Standard Oil Trust moves its headquarters to 26 Broadway, New York City. The nine-story office building becomes a landmark. 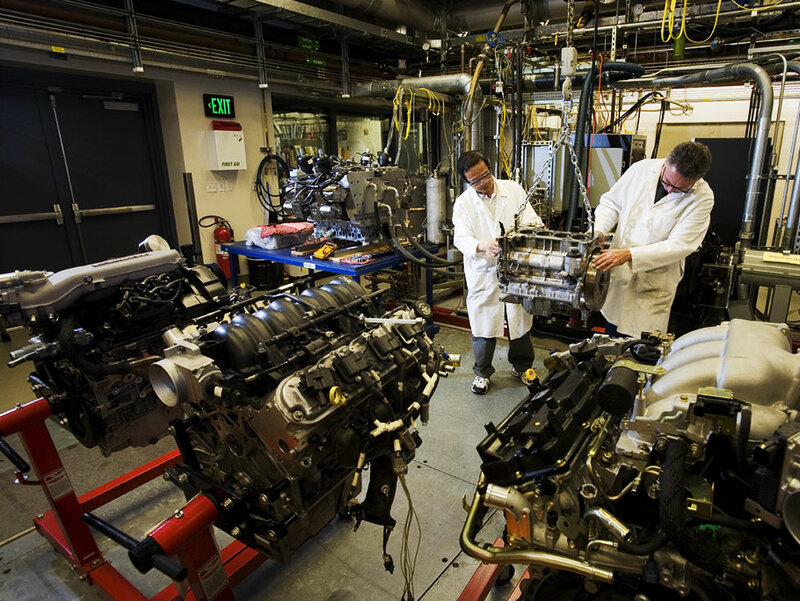 The same year, Vacuum develops Gargoyle Arctic engine oils for newly designed generators and motors that operate at speeds of up to 1,000 rpm. 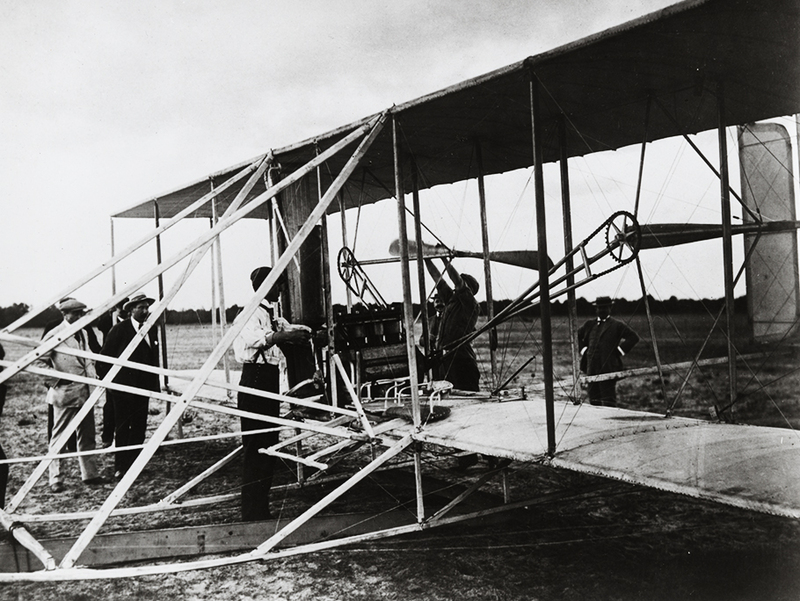 The Wright brothers, Wilbur and Orville, use both Jersey Standard fuel and Mobiloil (Vacuum) lubricants for their historic first flight at Kitty Hawk, North Carolina. Socony gains a strong foothold in the vast market for kerosene in China by developing small lamps that burned kerosene efficiently. 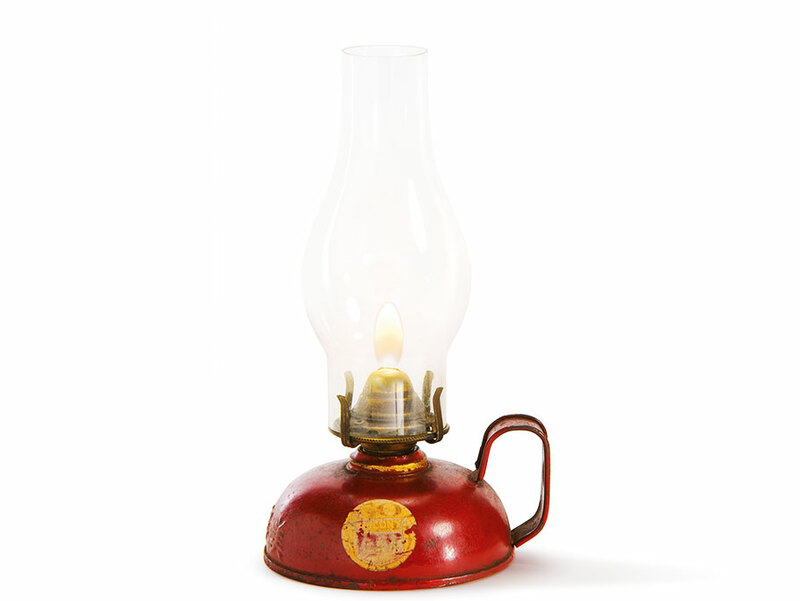 The lamps become known as Mei-Foo, from the Chinese symbols for Socony, meaning "beautiful confidence." 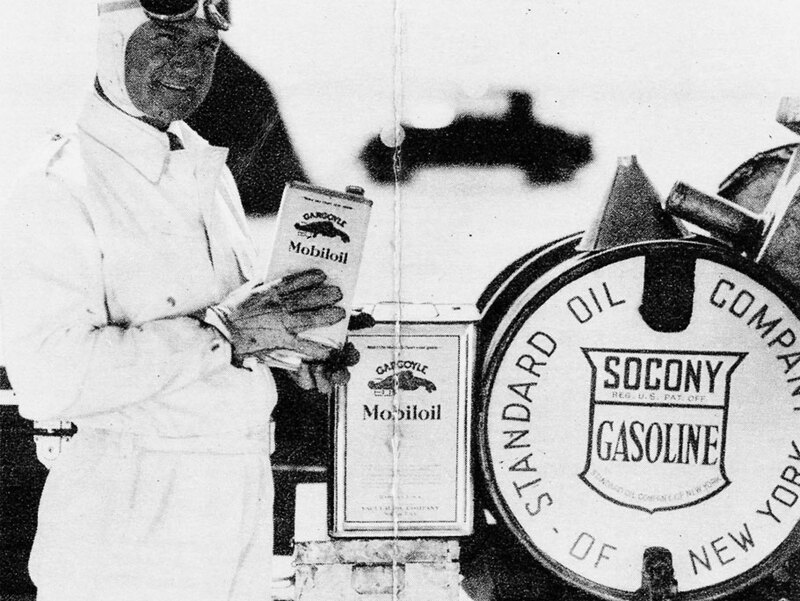 Following a landmark U.S. Supreme Court decision, Standard Oil breaks up into 34 unrelated companies, including Jersey Standard, Socony and Vacuum Oil. 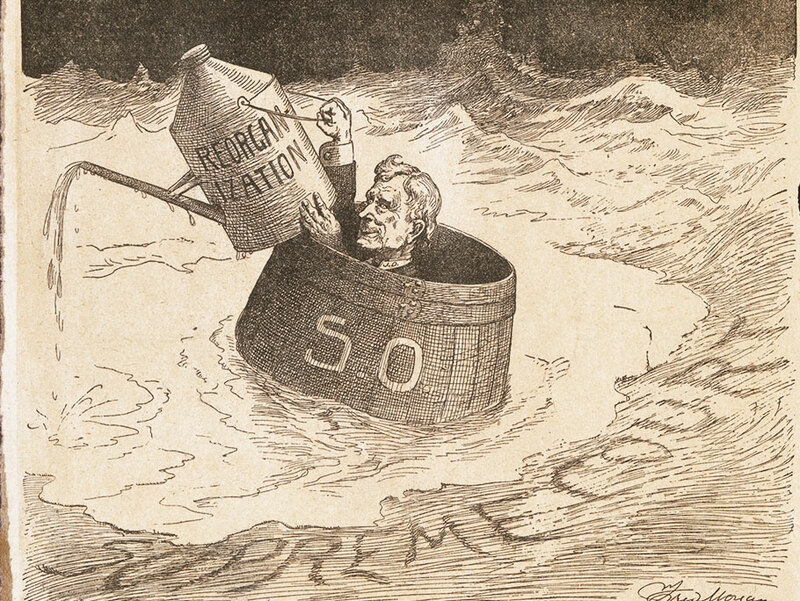 The year also marks the first time Jersey Standard's sales of kerosene are surpassed by gasoline, a product that in the early days had often been discarded as a nuisance. 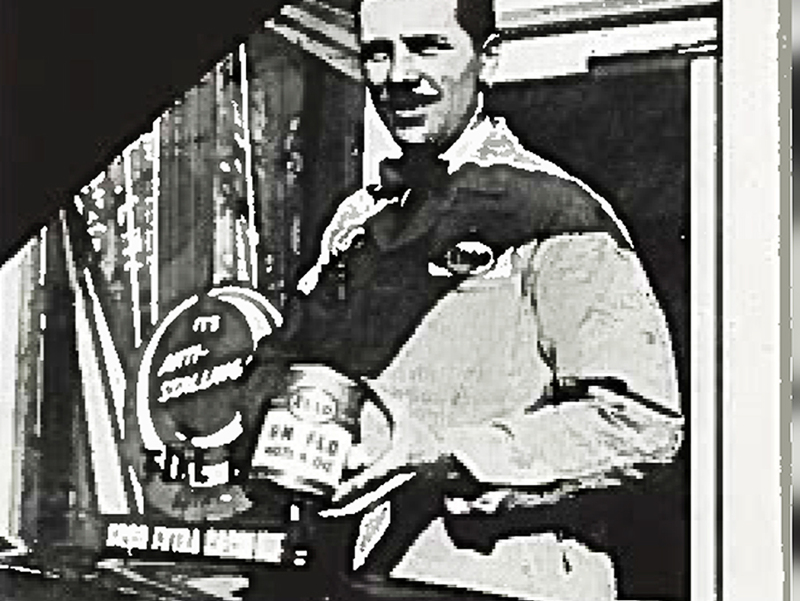 Ralph De Palma, winner of the Indianapolis 500, is the first of many Indy winners to use Mobil products. His average speed: 89.84 mph. 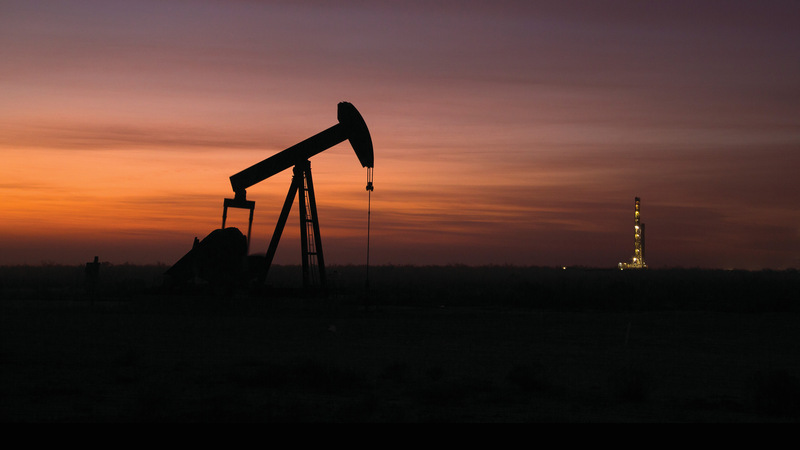 Jersey Standard acquires a 50-percent interest in Humble Oil & Refining Company of Texas. It was during this year that Humble, led by its pioneering Chief Geologist Wallace Pratt, employed micropaleontology, the study of microscopic fossils contained in cuttings and core samples from drilling, as an aid in finding oil. 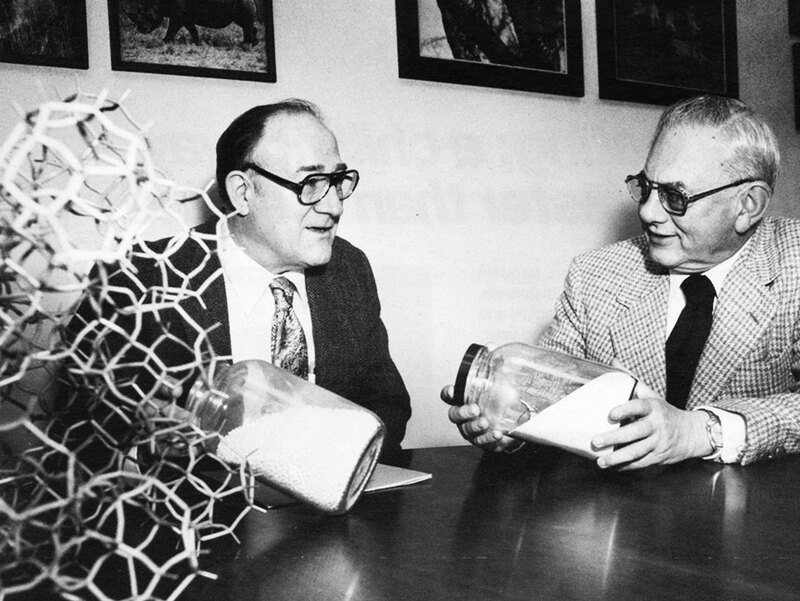 Jersey Standard researchers produce rubbing alcohol, or isopropyl alcohol — the first commercial petrochemical. Embodying the phonetic rendition of the initials ‘S’ and ‘O’ in Standard Oil, Jersey Standard brings out a new blend of fuel under the trade name Esso. 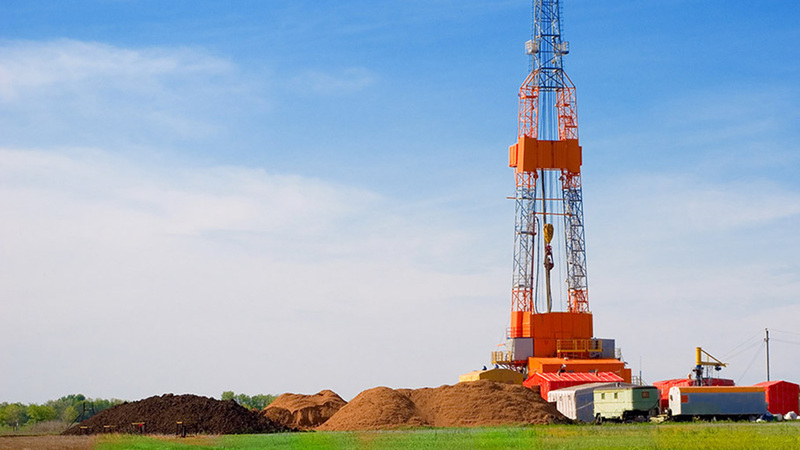 Humble geophysicists use a refraction seismograph and discover an oil field in Sugarland, Texas. Amelia Earhart uses Mobiloil to protect Friendship when she makes her historic solo flight across the Atlantic. 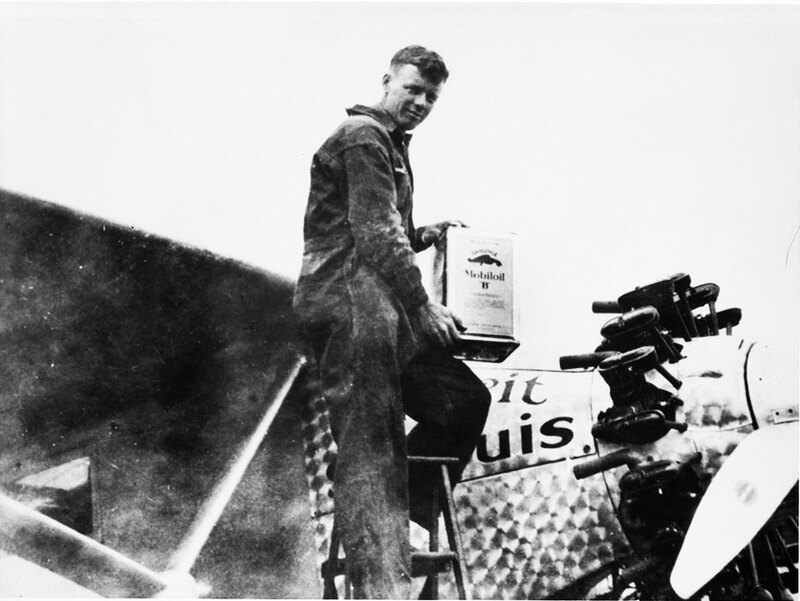 The previous year, Charles Lindbergh used Mobiloil in the Spirit of St. Louis on the first solo flight across the Atlantic. First commercial unit in a cat-cracking refinery begins operation at Socony-Vacuum’s Paulsboro, New Jersey, refinery. 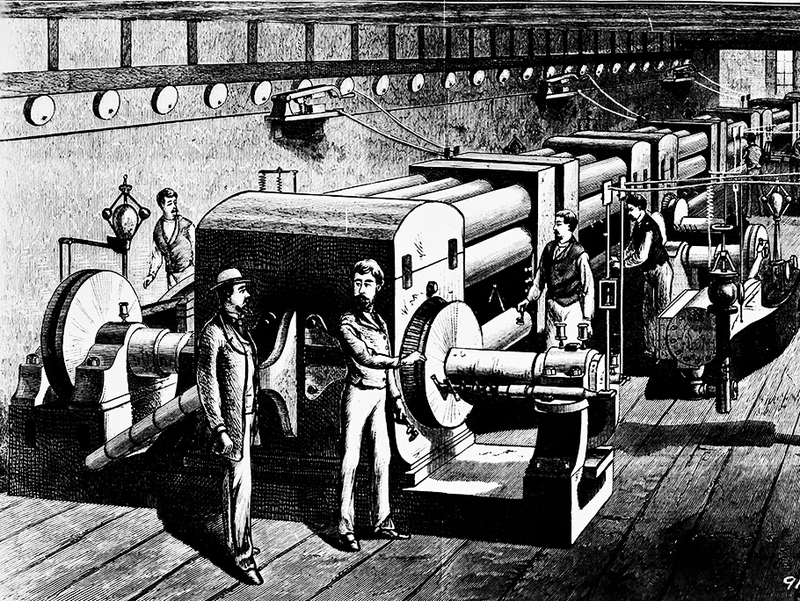 The unit used a process developed by French scientist Eugene P. Houdry with the financial backing of Socony-Vacuum. The process added a clay-like catalyst to the cracking process to boost gasoline yields and octane rating. 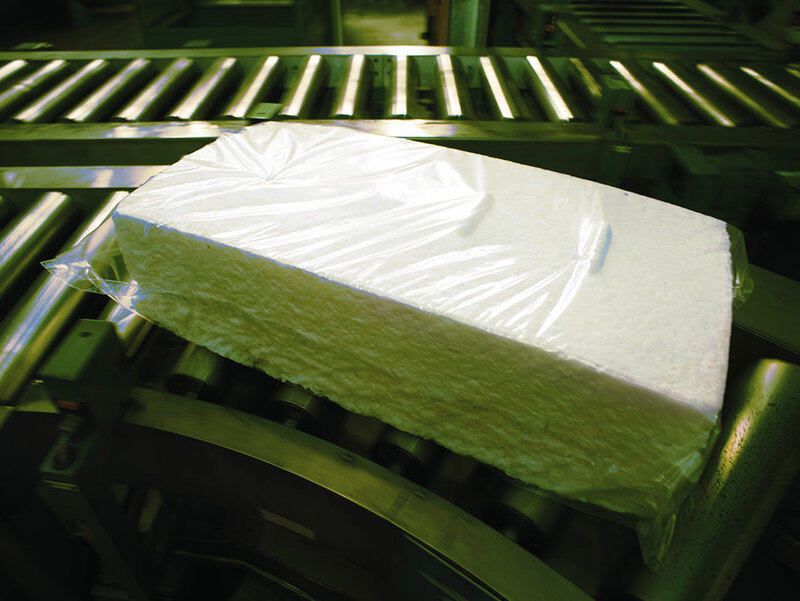 Jersey Standard researchers produce an artificial rubber, butyl. 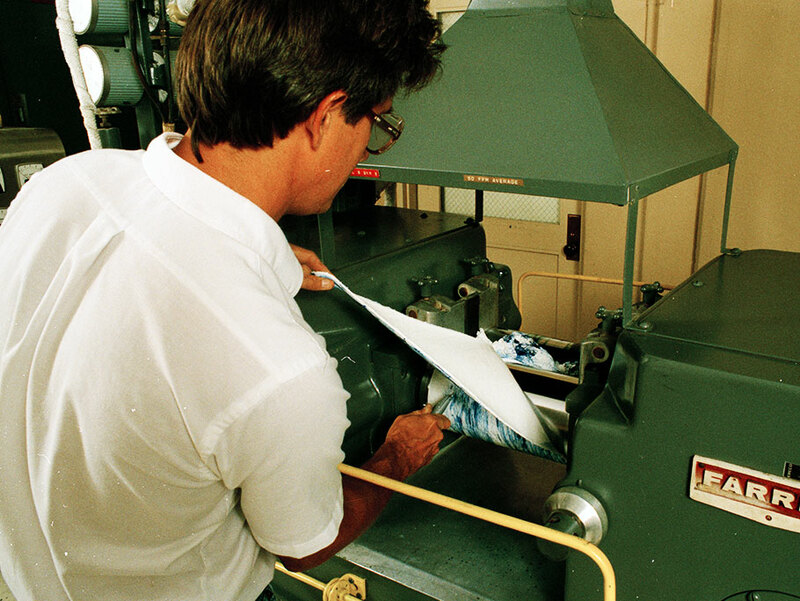 Today, butyl is used in the creation of tires, surgical tapes, protective coatings and more. 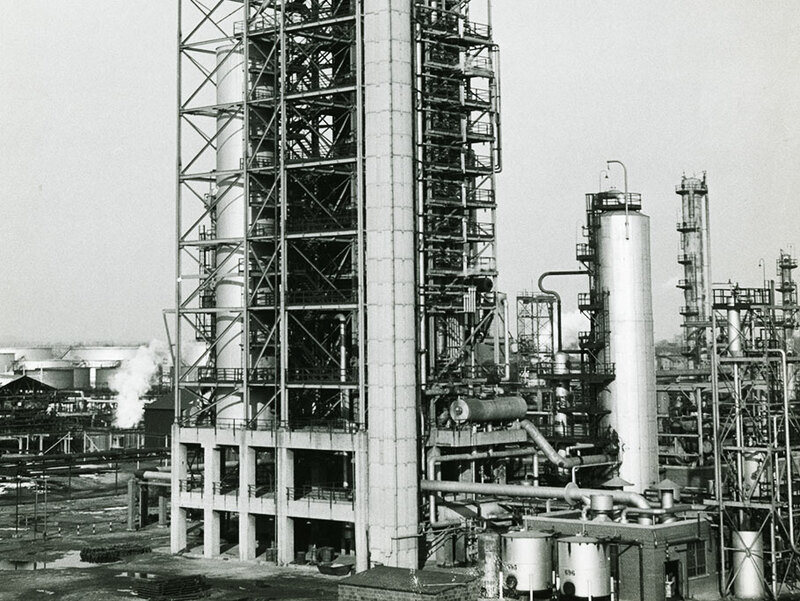 The world's first commercial production of alkylate begins at a Humble plant in Baytown, Texas. Alkylation made possible the manufacturing of iso-octane, used as a blending agent to produce 100-octane aviation gasoline. Jersey Standard introduces Uniflo motor oil, the first multigrade motor oil recommended for both summer and winter use. 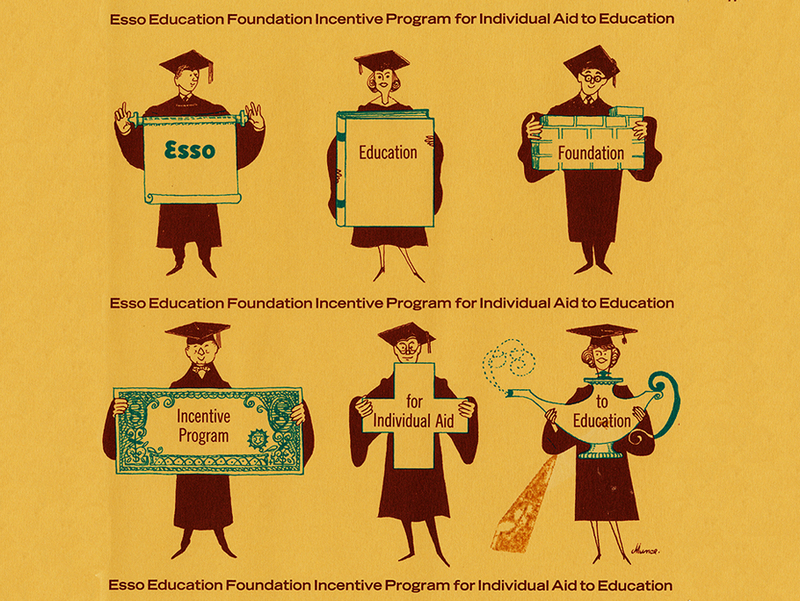 Jersey Standard establishes the Esso Education Foundation, a program that gives financial aid to private colleges and universities. 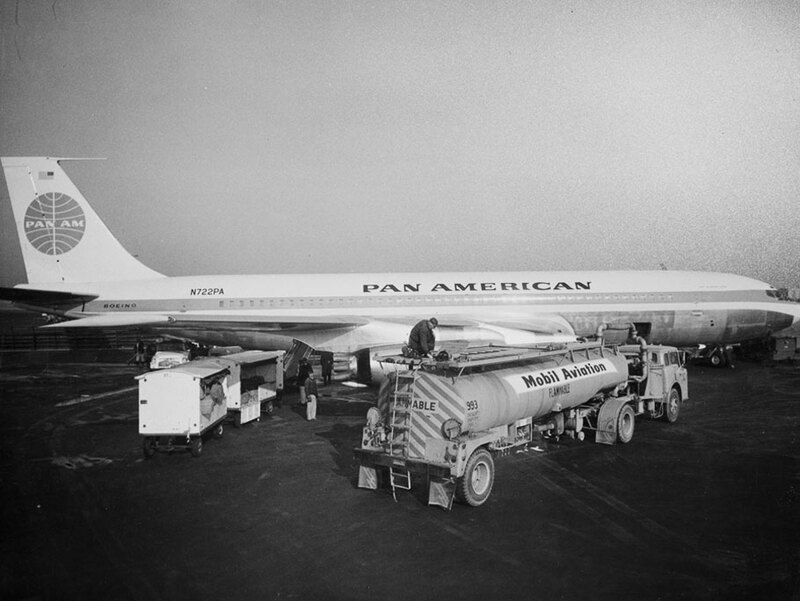 Pan American Airways flies its first trans-Atlantic Boeing 707 flight from New York to London. 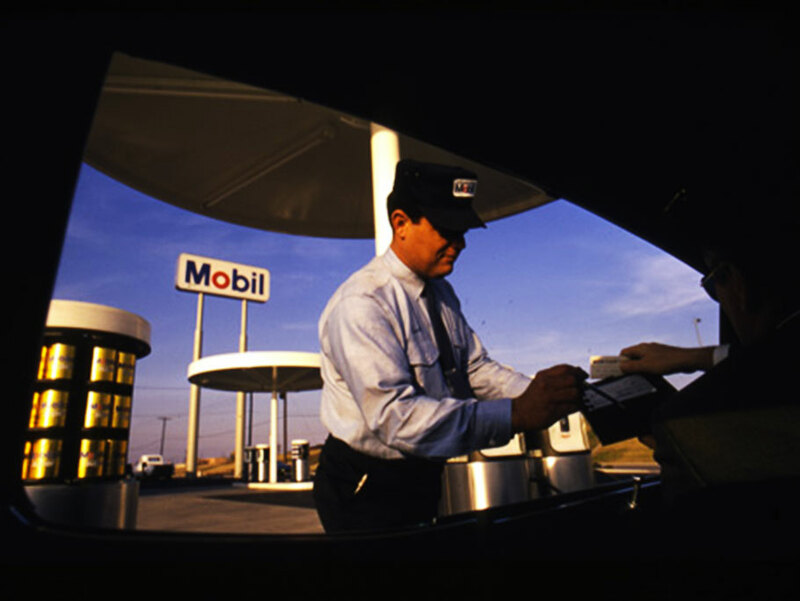 The flight is fueled by Mobil aviation fuel. 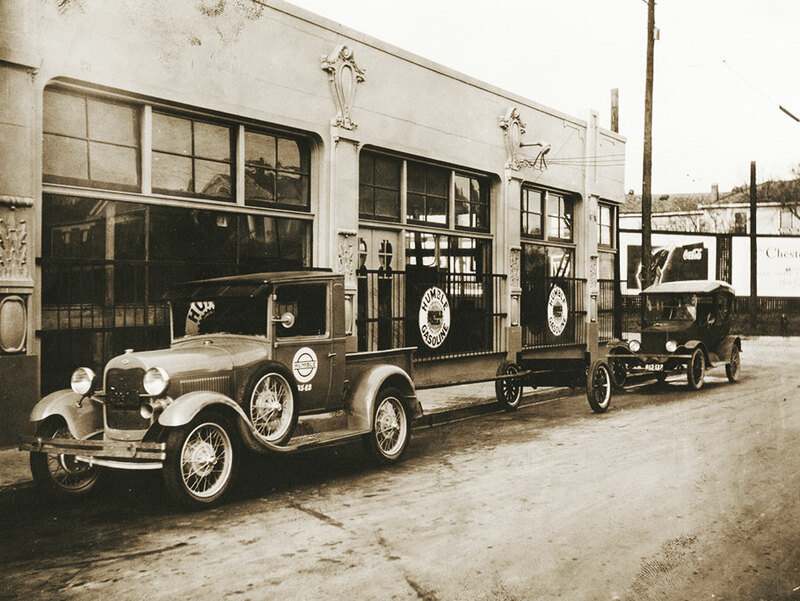 Mobil celebrates 100 years since the founding of the Vacuum Oil Company in 1866 and changes its name to Mobil Oil Corporation. The company launches a wide-reaching identity program to emphasize the Mobil trade name. Jersey Standard officially changes its name to Exxon Corporation. The name change is approved by Jersey Standard shareholders in a special shareholders’ meeting. Mobil introduces a synthetic automotive engine lubricant — Mobil 1. 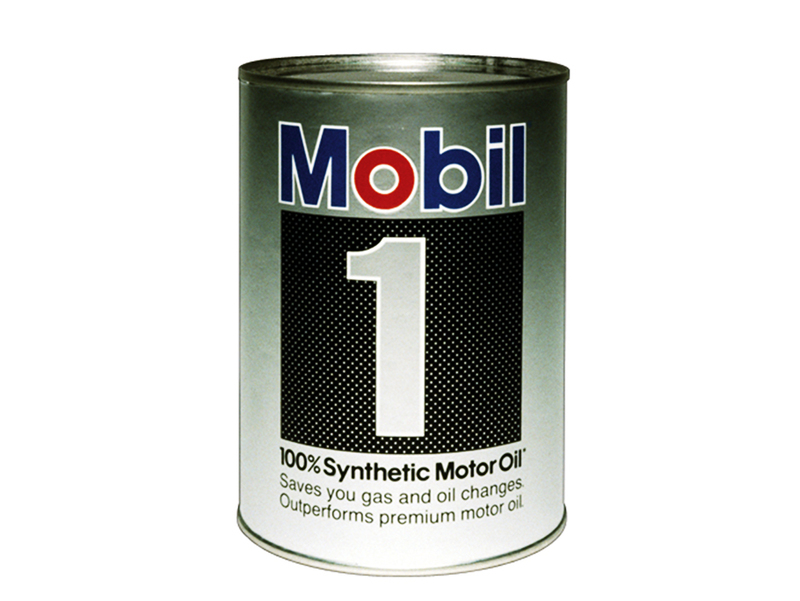 Today, Mobil 1 is the world’s leading synthetic motor oil. 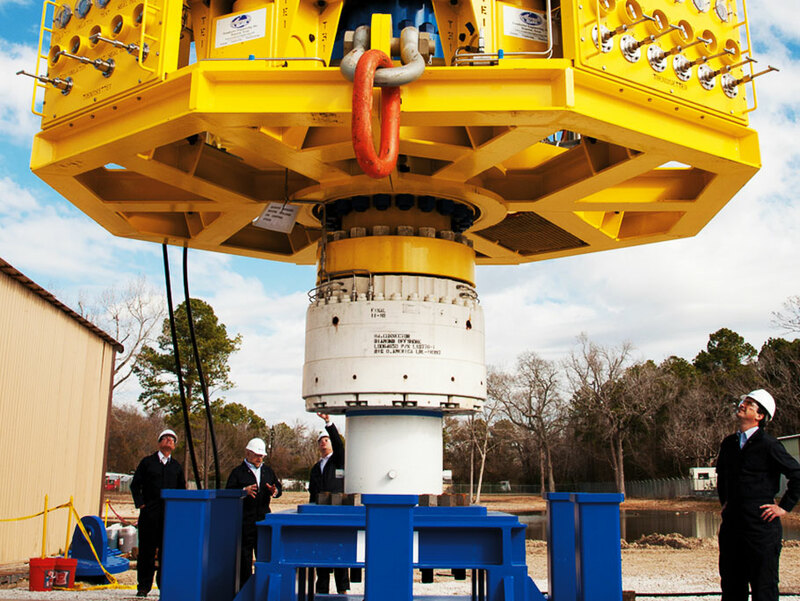 Mobil participates in completion of Beryl A, the world's first concrete production platform. 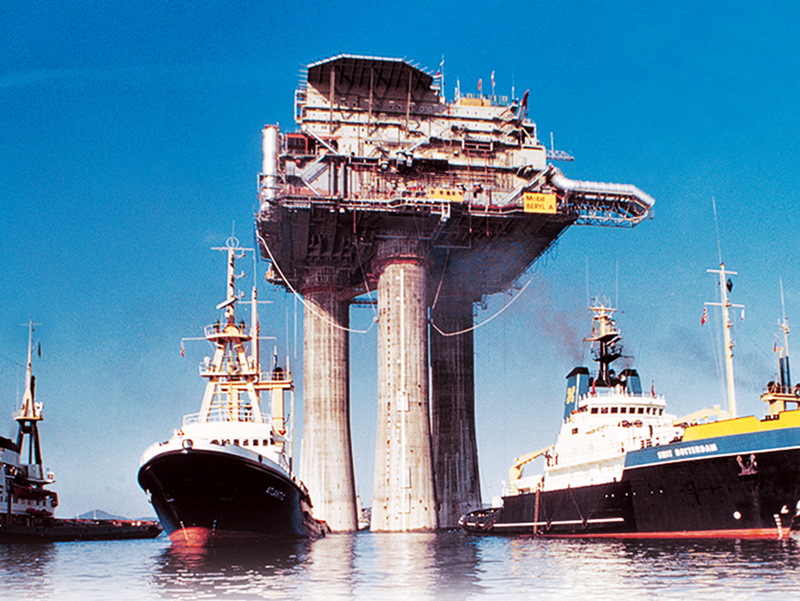 The 50-story-high structure was the prototype for other concrete deepwater facilities operating in the North Sea. 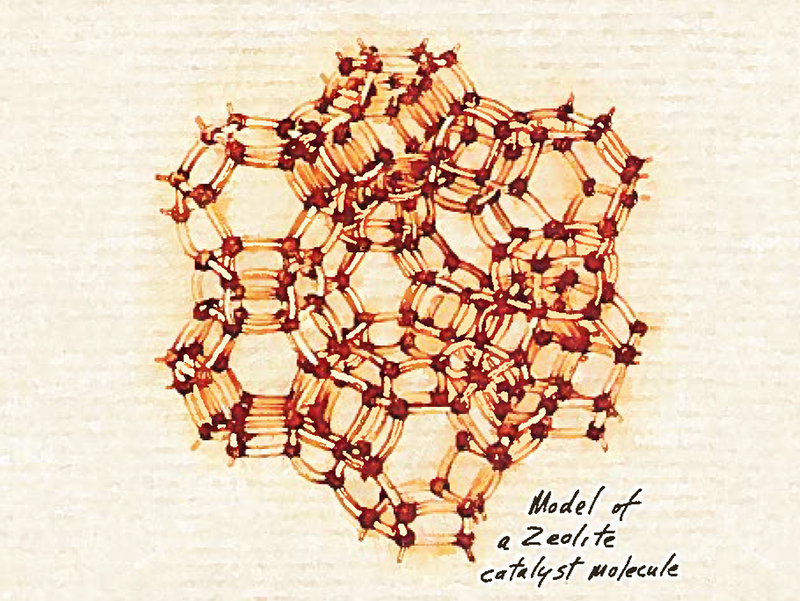 Mobil invents a process for converting methanol into high-octane gasoline through the use of the company’s versatile ZSM-5 catalyst. Exxon opens its own facility for environmental health research at East Millstone, New Jersey. 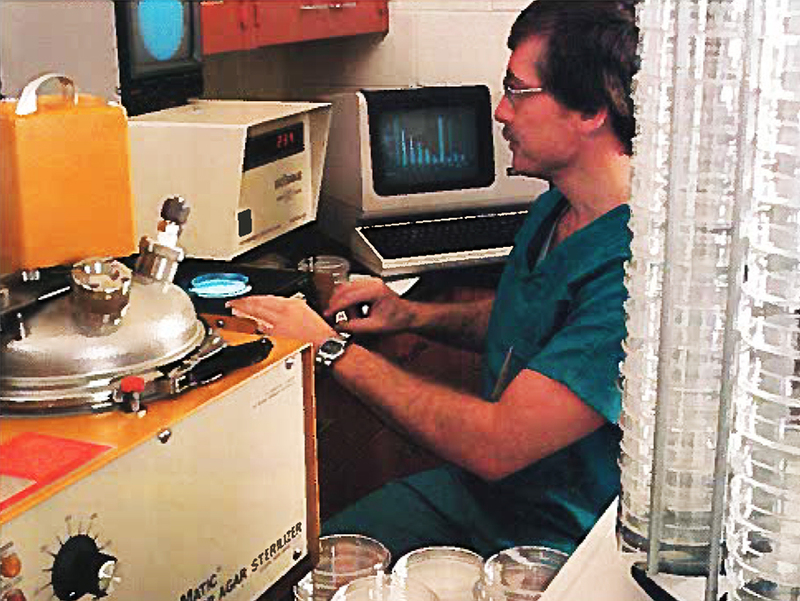 Exxon Biomedical Sciences, Inc. conducts research to further assure the safety of Exxon operations and products. 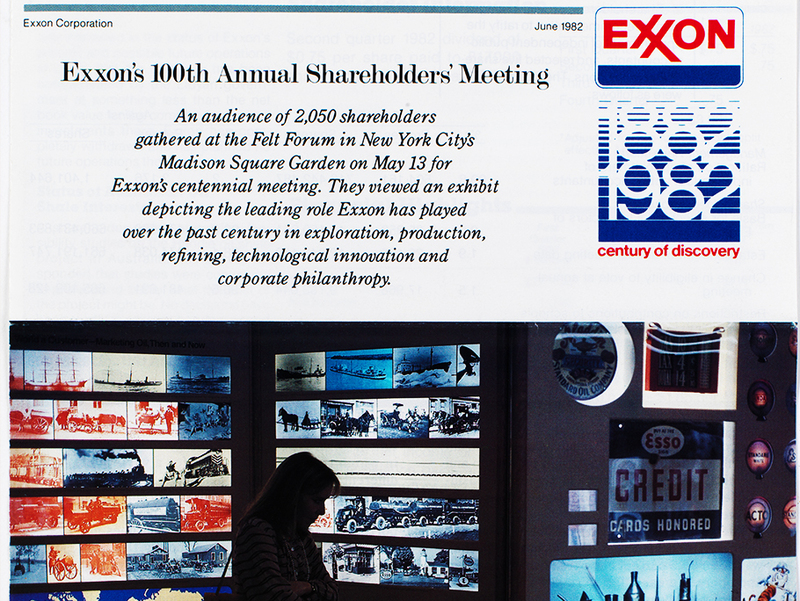 Exxon celebrates 100 years since the formation of the Standard Oil Trust in 1882. 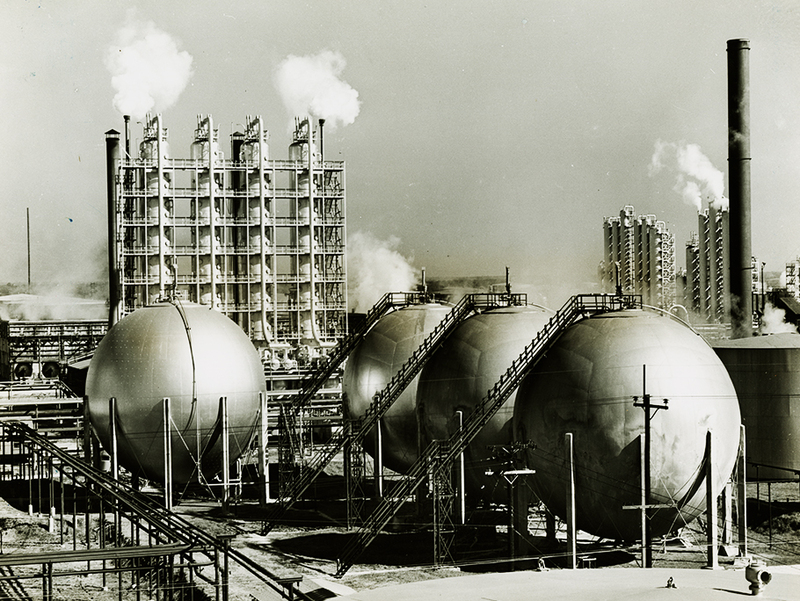 In its first 100 years, the company evolved from a domestic refiner and distributor of kerosene to a large multinational corporation, involved at every level of oil and gas exploration, production, refining and marketing, and petrochemicals manufacturing. 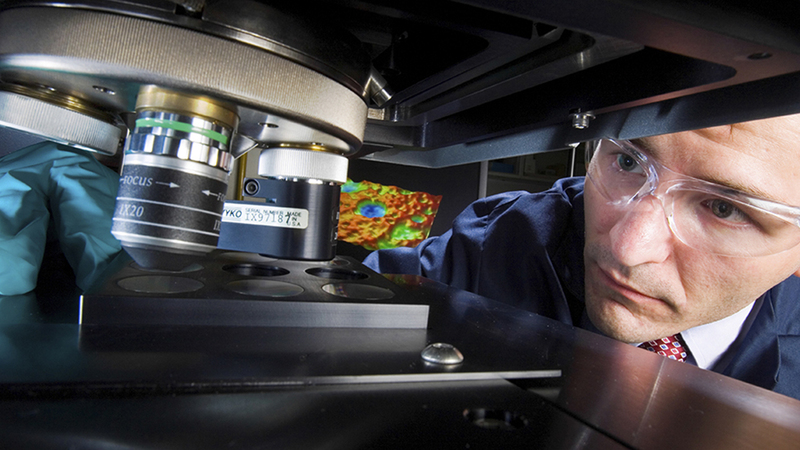 Exxon Research and Engineering invents a powerful new imaging technique called 3-D microtomography to study the internal structure of opaque objects without damaging them. On March 24, 1989, the tanker Exxon Valdez runs aground in Prince William Sound in Alaska. 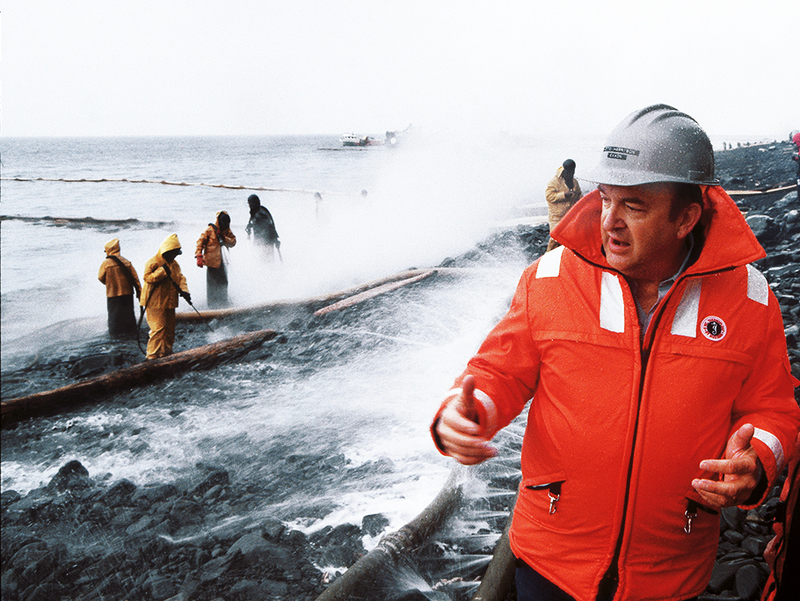 The Valdez oil spill was a tragic accident that ExxonMobil deeply regrets. The company took immediate responsibility for the spill, cleaned it up and voluntarily compensated those who claimed direct damages. Learn more about the Exxon Valdez. 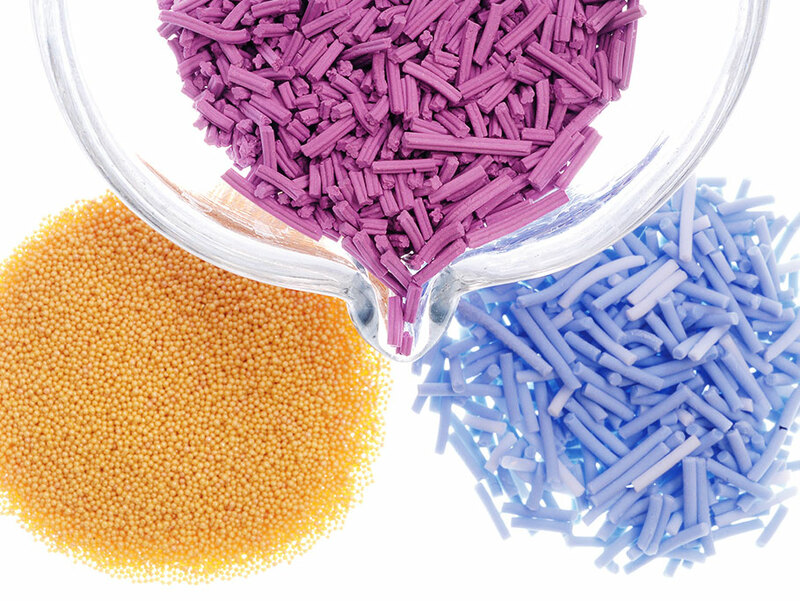 Exxon introduces Exxpol, a single-site metallocene catalyst used to produce consistent, controllable molecular structures that make plastic and rubber products tougher and impact-resistant, with less haze and with excellent organoleptics (low off-taste and odor). 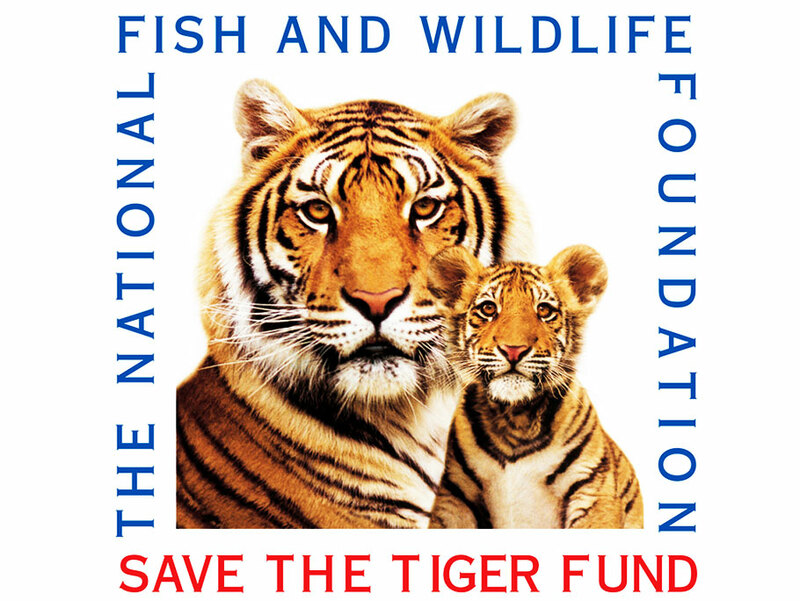 Exxon establishes the Save The Tiger Fund in partnership with the National Fish and Wildlife Foundation. The Save The Tiger Fund is dedicated to supporting the conservation of Asia’s remaining wild tigers. 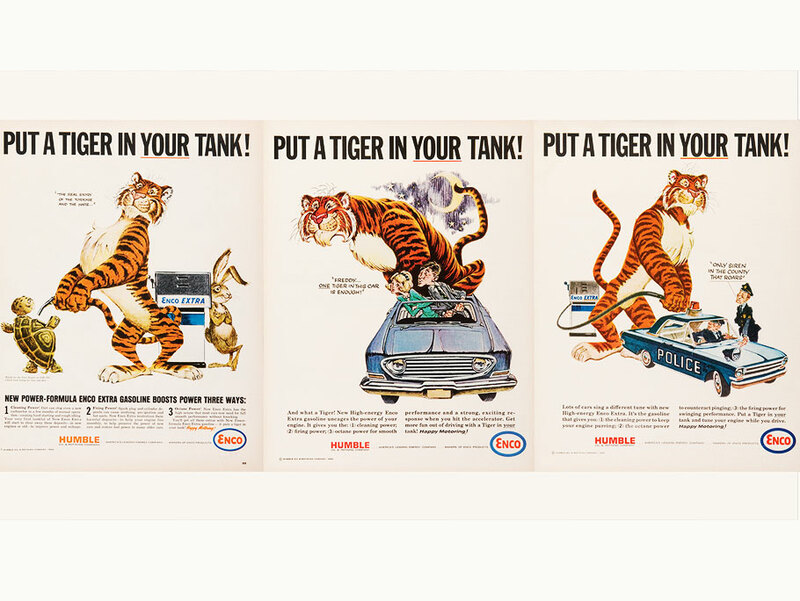 Since its establishment, ExxonMobil has provided $1 million annually in support of the Save The Tiger Fund. 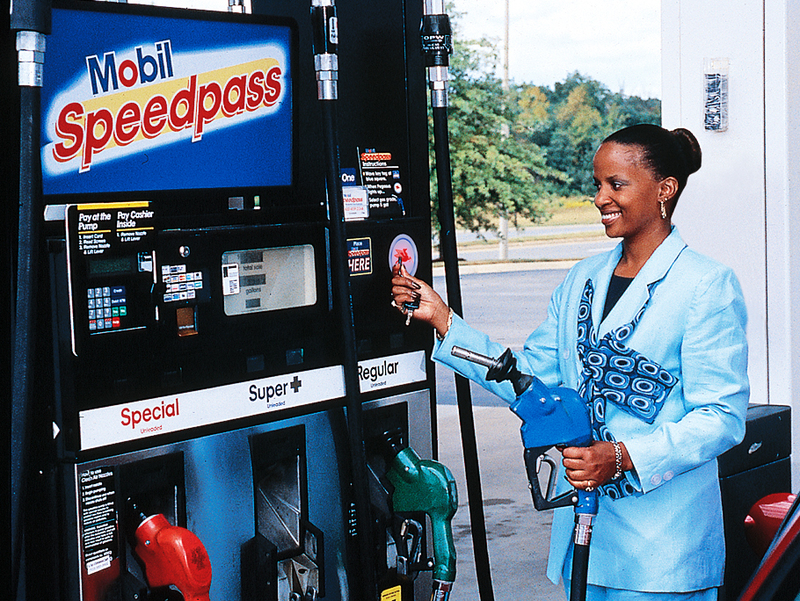 Mobil introduces Speedpass, an electronic system which automatically activates the pump and charges purchases to a credit card. Speedpass is similar to the electronic toll technology successfully used on subway, bus and highway systems around the world. 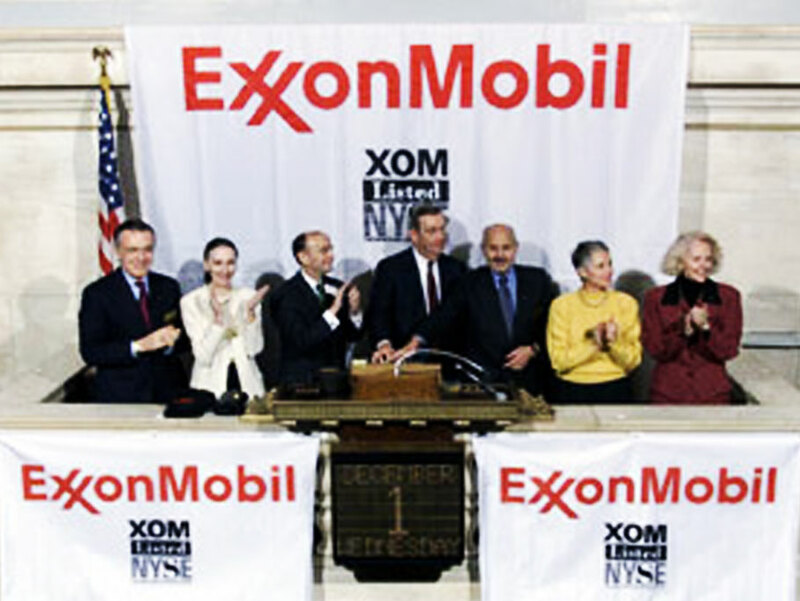 On November 30, 1999, Exxon and Mobil join to form Exxon Mobil Corporation. 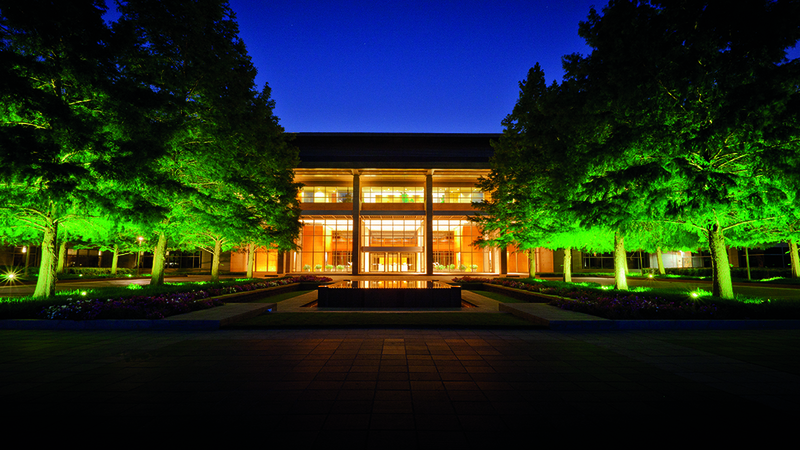 “This merger will enhance our ability to be an effective global competitor in a volatile world economy and in an industry that is more and more competitive,” said Lee Raymond and Lou Noto, chairmen and chief executive officers of Exxon and Mobil, respectively. 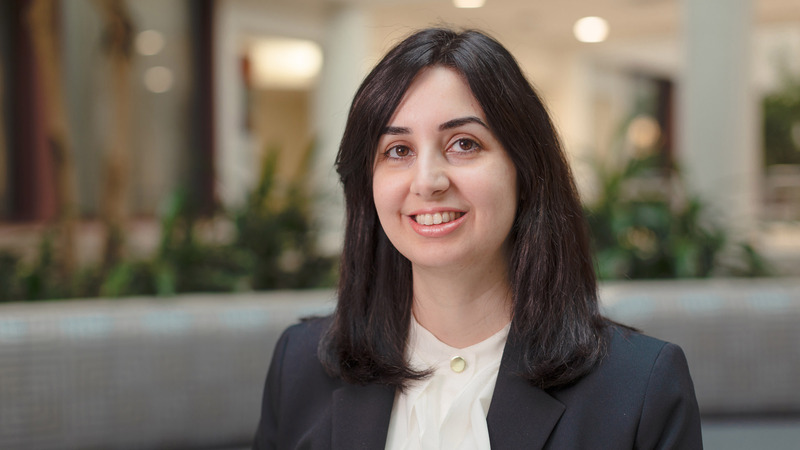 ExxonMobil Research & Engineering Company (EMRE) develops the SCANfining process, which uses a new proprietary catalyst to selectively remove more than 95 percent of the sulfur from gasoline while minimizing octane loss. 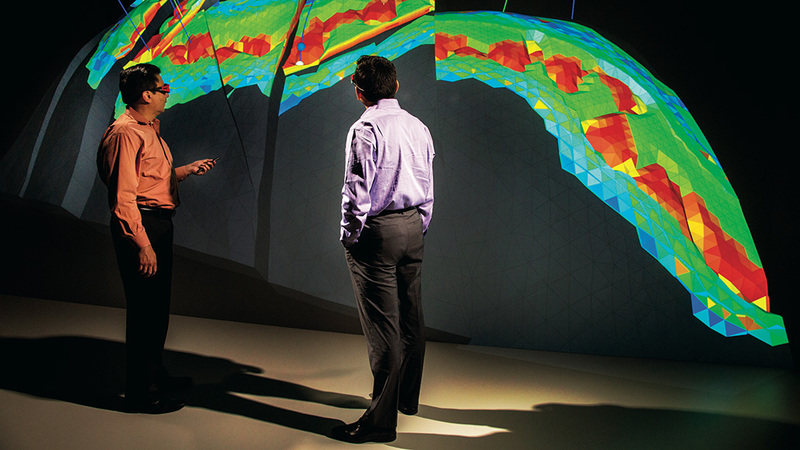 ExxonMobil, joined by other sponsors, initiates the Global Climate and Energy Project (GCEP) at Stanford University — a pioneering research effort to identify technologies that can meet energy demand with dramatically lower greenhouse gas emissions. ExxonMobil partners with professional golfer Phil Mickelson and his wife, Amy, to launch the Mickelson ExxonMobil Teachers Academy. 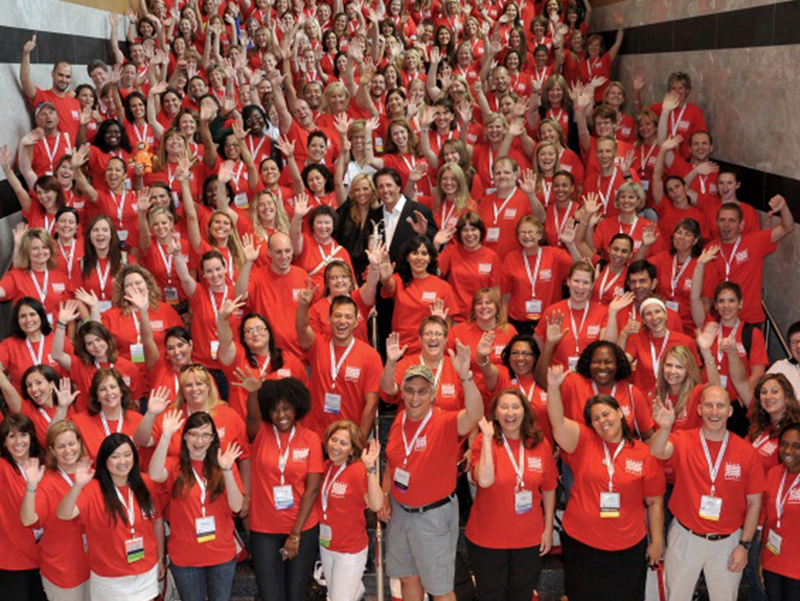 The academy is designed to provide third- through fifth-grade teachers with the knowledge and skills necessary to motivate kids to pursue careers in science and math. 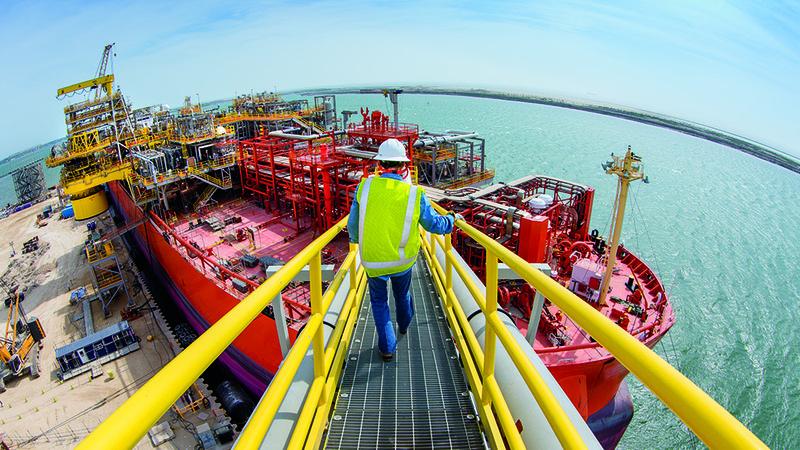 ExxonMobil and Qatar Petroleum, with other joint-venture partners, expand development of the giant North Field offshore Qatar, the largest nonassociated gas field in the world. 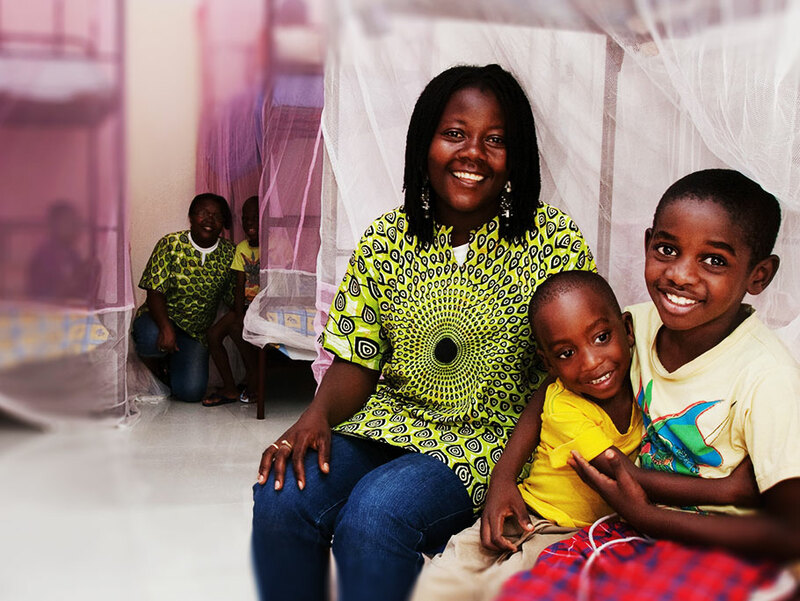 ExxonMobil's donation through “Idol Gives Back” enables the distribution of hundreds of thousands of bed nets throughout disease-stricken communities in Angola. 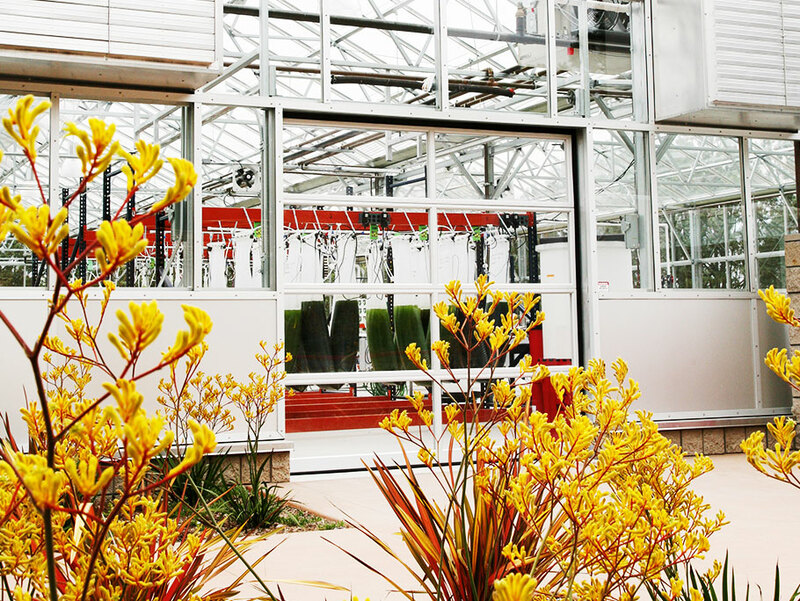 Exxon Mobil Corporation (NYSE:XOM) and Synthetic Genomics Inc. (SGI) announced the opening of a greenhouse facility enabling the next level of research and testing in their algae biofuels program. 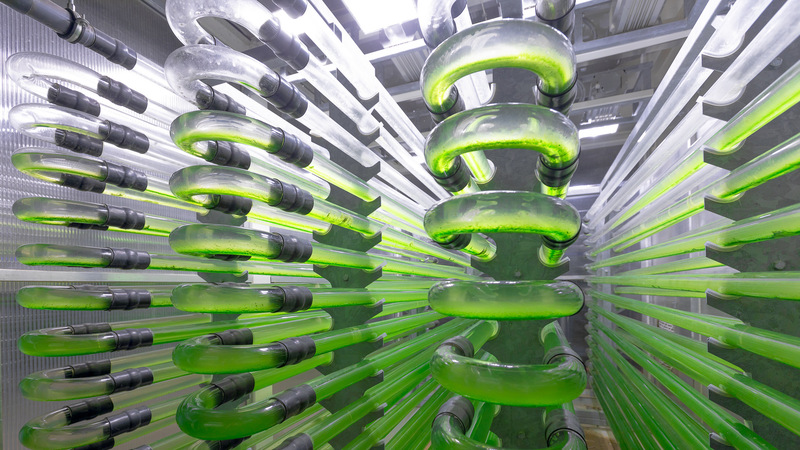 In 2017, these efforts will yield a breakthrough involving modification of an algae strain that more than doubles its oil content without significantly inhibiting the strain’s growth. 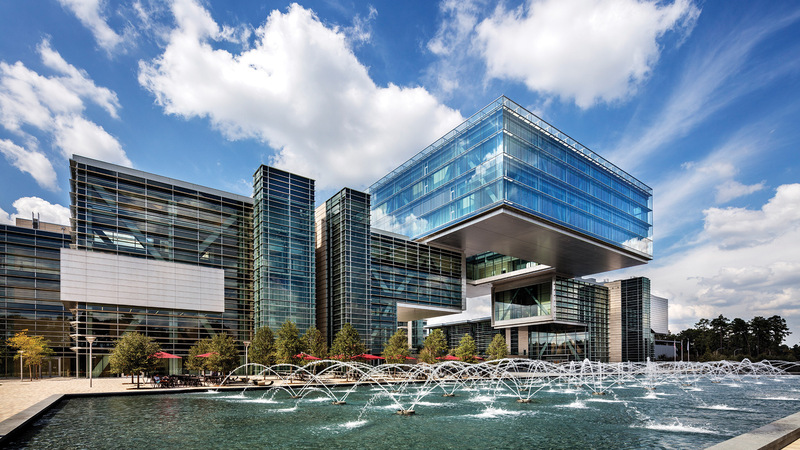 ExxonMobil finalizes its agreement with XTO Energy Inc., creating a new organization to focus on global development and production of unconventional resources. 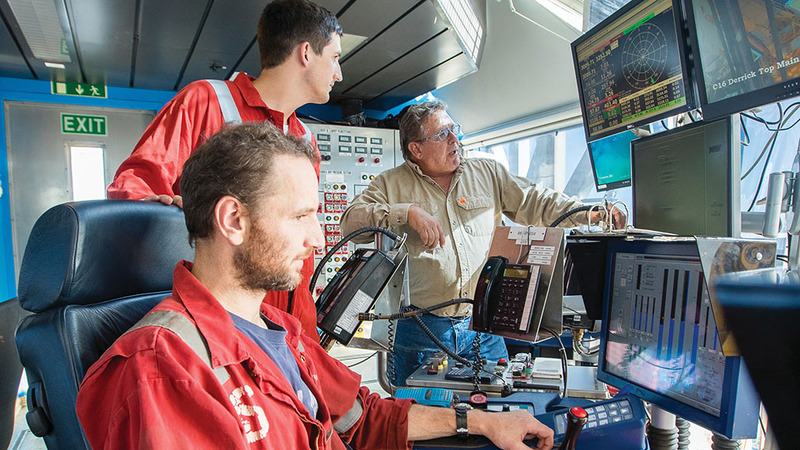 A plan to build and deploy a rapid response system that will be available to capture and contain oil in the event of a potential future underwater well blowout in the deep-water Gulf of Mexico is announced by Chevron, ConocoPhillips, ExxonMobil and Shell. 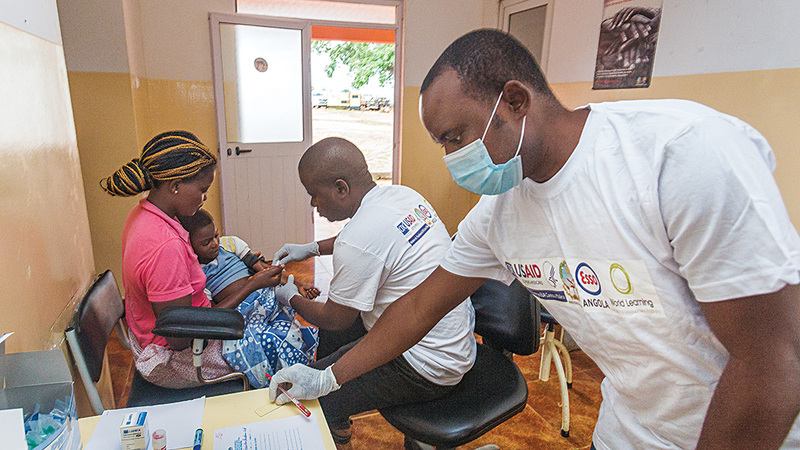 ExxonMobil leads the containment system efforts on behalf of the sponsor companies. 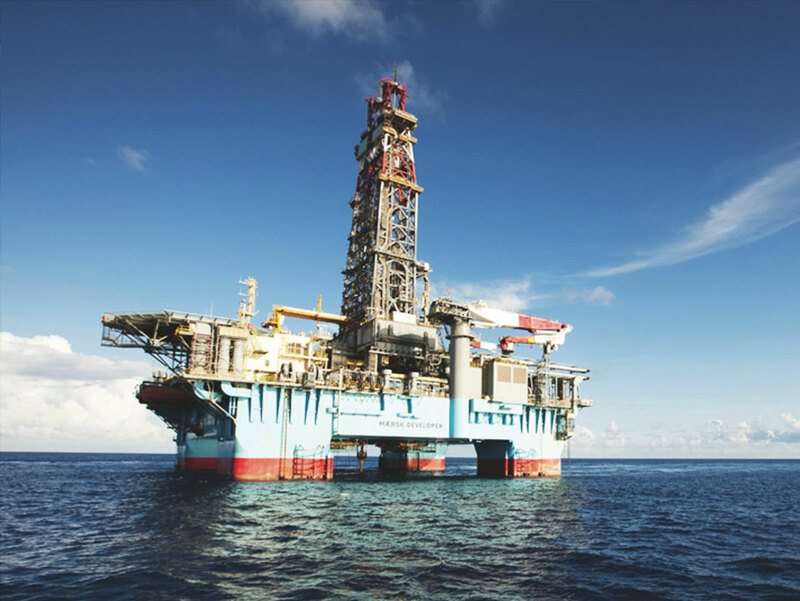 Exxon Mobil Corporation announced two major oil discoveries and a gas discovery in the deep-water Gulf of Mexico after drilling the company's first post-moratorium deep-water exploration well. 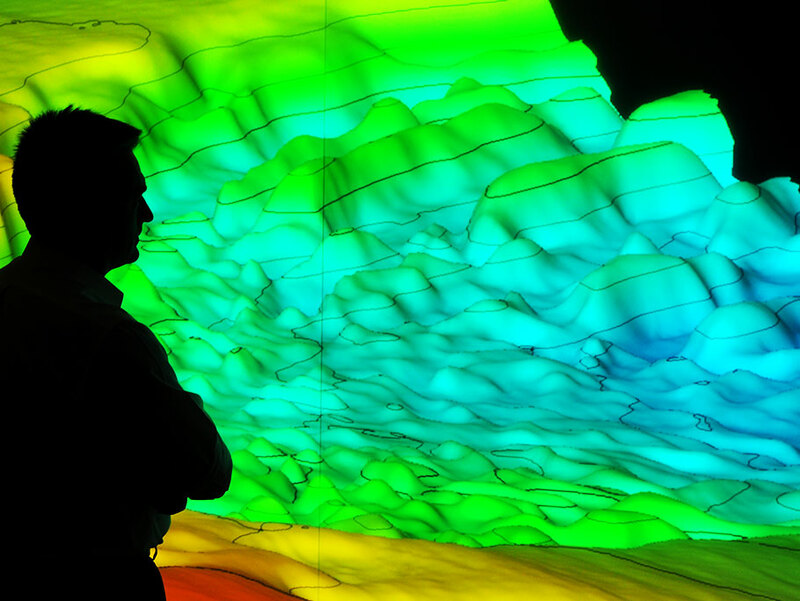 This is one of the largest discoveries in the Gulf of Mexico in the last decade. 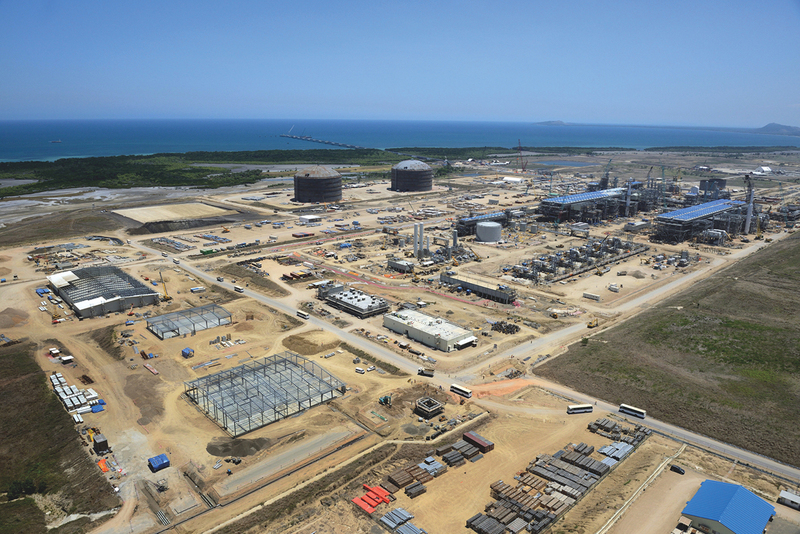 The first shipment of liquefied natural gas from ExxonMobil’s PNG LNG Project in Papua New Guinea is delivered to the Tokyo Electric Power Co. Inc. in Japan. 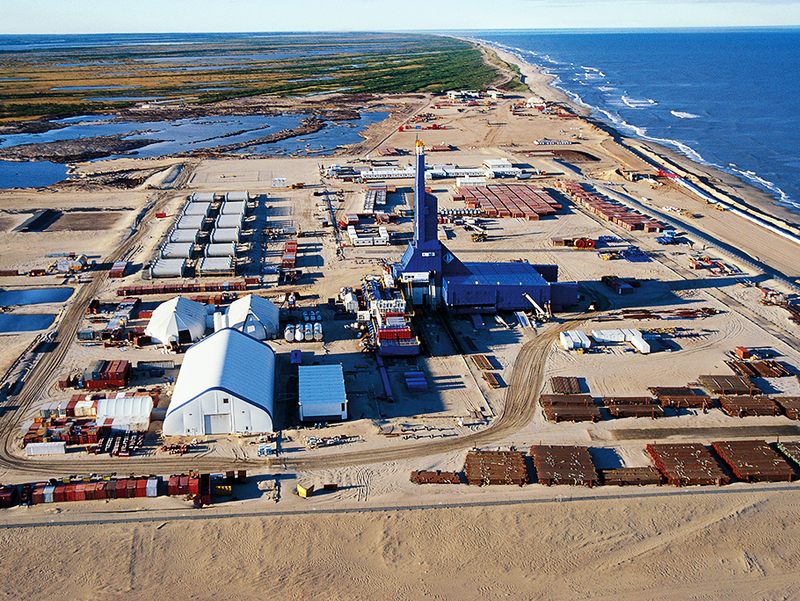 ExxonMobil safely and successfully drills its first exploration well offshore Guyana. 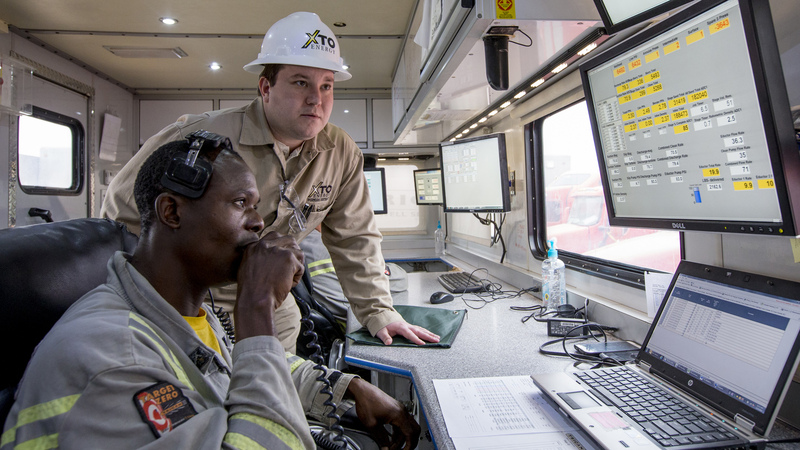 Subsequent exploratory activity will confirm a world-class resource discovery in excess of 5 billion oil-equivalent barrels. ExxonMobil and Georgia Tech researchers develop a potentially revolutionary “reverse osmosis” technology that could significantly reduce greenhouse gas emissions associated with plastics manufacturing. By using a molecular filter — rather than energy and heat — to perform a key step in the plastics-making process, this new process offers the potential to dramatically reduce the amount of energy required in petrochemical facilities. 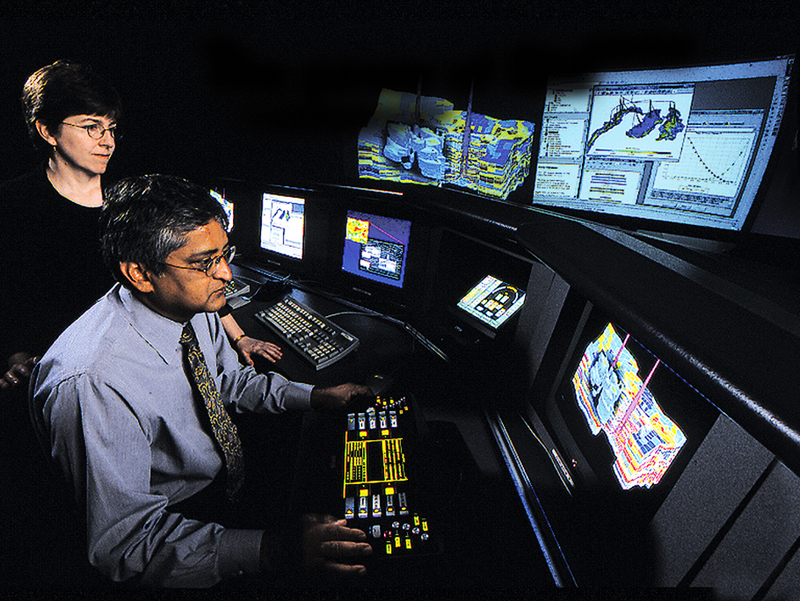 Working jointly with the National Center for Supercomputing Applications at the University of Illinois at Champaign-Urbana, ExxonMobil sets a record in high-performance computing by using more than four times the previous number of processors used on complex oil and gas reservoir simulation models to improve exploration and production results. The breakthrough in parallel simulation uses 716,800 processors, the equivalent of harnessing the power of 22,400 computers with 32 processors per computer. 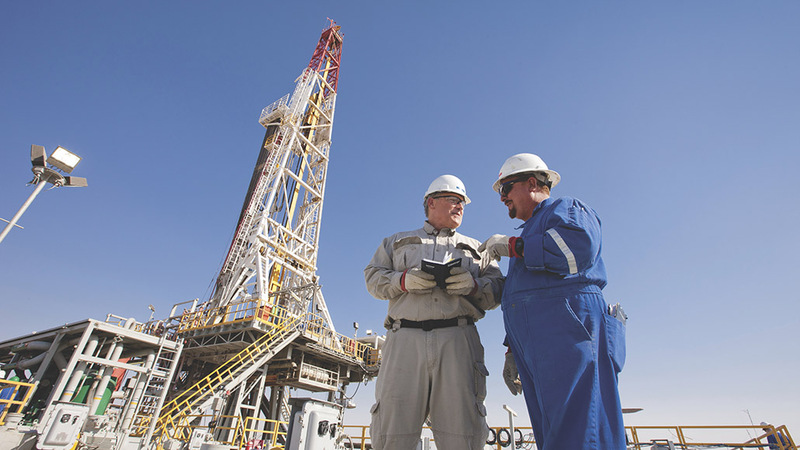 ExxonMobil doubles its Permian Basin resource to 6 billion barrels of oil equivalent through the acquisition of companies owned by the Bass family of Fort Worth, TX.